Spring on the sweet stuff! 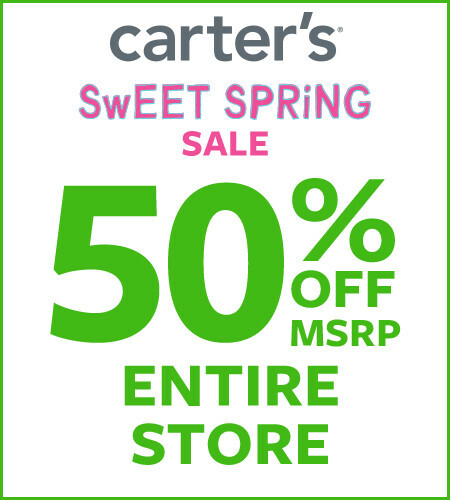 Easter outfits, dresses, shoes, swim + EVERYTHING else now 50% off*. *Savings based on MSRP. Exclusions apply. See store associate for details. Valid 3/19 through 3/31. NOW: 50% OFF* everything they need to shine all season long. 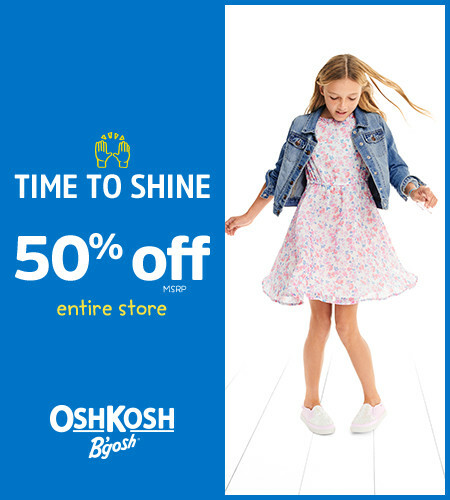 Stock up for school days, spring break, road trips... there's something for every day, for every OshKosh kid. 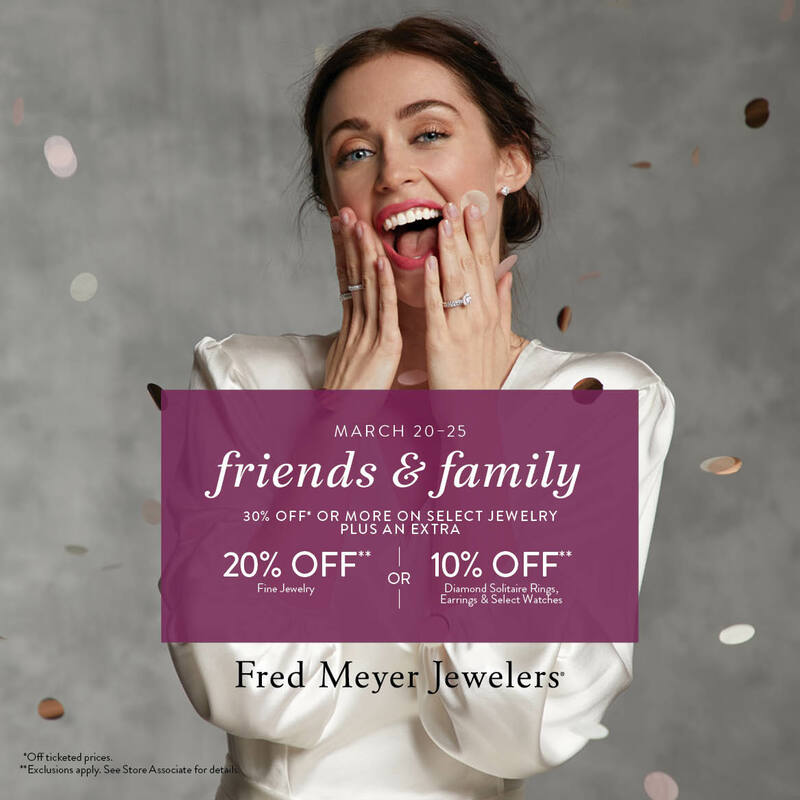 30% off* or more on select Jewelry Plus an extra 20% off** or 10% off** Diamond Solitaire Rings, Earrings and Select Watches.